Just 10 more days and we’re flying out to the opposite side of the globe! High time for a last update, which will focus on the gear I will take to New Zealand. Every long trip poses its own, specific questions concerning gear, and it has not been different this time. Although my gear list is largely similar to the one for my Greenland expedition in 2013, I’ll make some important changes, mainly in terms of footwear. My total backpack weight (without food and water) will be about 12.4kg for the packrafting sections, and 8.4kg for the 5-week hiking section at the start of the trek. I’ll have a few extra kilo’s (clothes, shoes, trekking poles, camera, …) on my body. You can download my full packing list via this link: Gear list New Zealand 2015. Let’s start with the backpack. It will be the same old ULA Epic, which I have been using on every single trip over the last 3 years. I’ll have carried it for over 300 days by the time I come back from NZ, but the pack seems almost indestructible and I’m very confident it won’t let me down. I’ll take a 79L Ortlieb PS21 drybag with it. At 439g, it weighs more than the drybags I used previously (the Sea to Summit 65L and the Exped 95L pack liner), but it should be sturdy enough to survive sections through the wild rainforest along the west coast, and large enough to easily store supplies for up to 9 days. My previous bags were either too small or too vulnerable during bushwhacking, so I consider the extra grams to be worth the trade-off. I’ll use my MLD Cricket Tent again as my shelter for the 60-day solo leg. 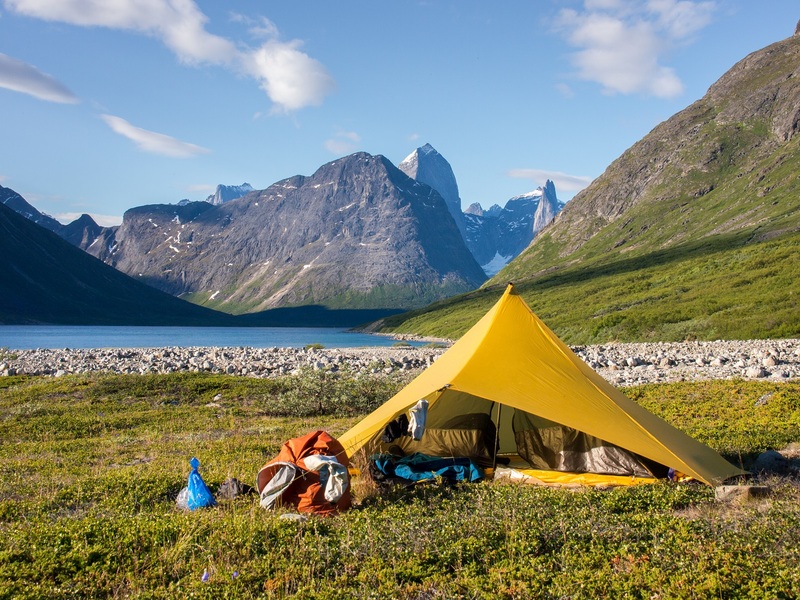 It combines a Silnylon flysheet with a mesh inner net, which will offer some comfort for reading and trip planning during the evening hours as the sandfly pressure could be pretty high on some parts a the trip. The Cricket Tent is not the very best shelter in high-wind bivouacs, but I will have possibilities to descend deeper into the valley and camp at a sheltered spot almost everywhere during the trip should the weather be too inclement. My sleeping bag will be the Cumulus Panyam 600. It will replace my good old Alpkit Pipedream 600, which has become less warm than it ever was. Sub-zero temperatures are to be expected during high bivouacs under clear conditions, and I don’t want my sleeping bag to be a limitation to camp on the best and highest spots when possible. The Therm-a-rest XTherm, which yields an incredible 5.7 R-values for 420g, will be my mattress again. It is be far the best sleeping pad I have ever had; incredibly light, warm and comfortable at the same time. The biggest ‘innovation’ compared to my last trips will be my footwear. For all my trips until 2011 I used sturdy mountain boots with a stiff sole. When I finally switched to Inov8 Flyroc 310 trailrunners for my Scandinavia trip in 2012, it was a relief. The trailrunners offered me so much walking comfort, speed and reduced risk of injuries that I easily forgot my mostly soaked feet (I am lucky never to have blisters). The only problem was the durability, both of the sole and the shoe itself. I started my Greenland expedition with brand new shoes, but by the time I reached Nanortalik 25 days of rough terrain later, the profile of the sole was almost gone and you could almost count my toes from the outside. As expect very rough terrain during the last 6 weeks of my upcoming South Island traverse, with many miles on boulders and endless scree, this was not a comforting thought. Furthermore, I expect quite some (steep) snowfields on the passes between Arthur’s Pass and Mount Cook. As I’m not taking crampons, the combination with trailrunners felt a bit unwise. So after the big leap from mountain boots to trailrunners, I’m now taking a small step back for this NZ trip. 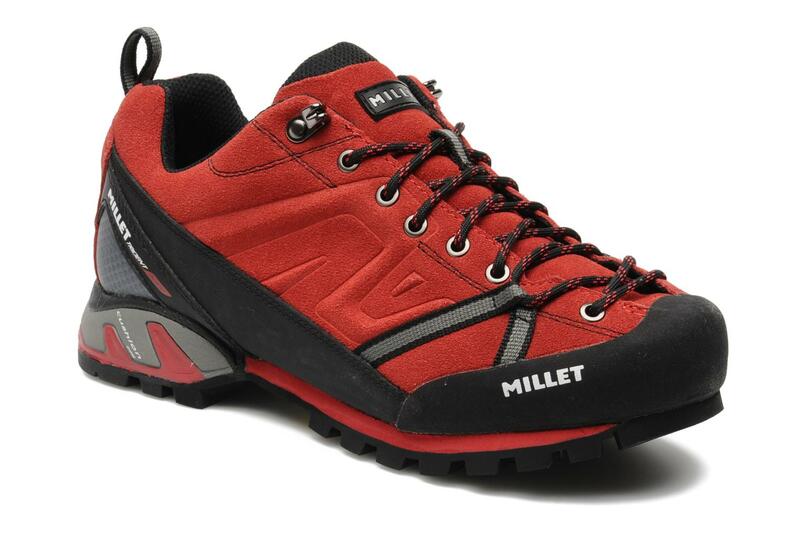 I’ll make the traverse with the Millet Trident Guide approach shoes. They are still low and pretty light (985g for a pair according to my measurment; Millet claims 840g), but feel much more durable and have a stiffer Vibram sole, which should last at least 1000km. I’ll reinforce the seams with SeamGrip before the trip. I’ll not take waterproof SealSkinz or GoreTex socks like I did in Scandinavia and Greenland. My experience is that they are not durable, and invariably start leaking after 5-10 days (or even less for the Sealskinz) when used inside trailrunners on rough terrain. I will have to cross so many streams that I’ll just accept my feet will be wet most of the time. I’ve never spent a lot of money on clothing and it won’t be different for this trip. Except for my hardshell Rab Latok Alpine jacket and rain pants I am now completely equiped with Decathlon clothing. Even the more expensive Decathlon stuff (which I am using) costs only 30-40% of the brand clothing from which they are cloned. My experience is that they often outperform the clothing of the well-known outdoor brands in terms of durabily. I’ll take a hoodie for the first time, and leave my cap at home. I’ll not take neoprene socks to packraft, but rather just keep my shoes on (assuming they will be wet anyway before I even reach the rivers). I’ll include an ice axe in my food drop near Arthur’s Pass, which I will send back to my ‘base camp’ in Christchurch again after have crossed the Mount Cook range. The passes I will tackle should be fine without an ice axe even when there’s small snowfields lingering on the steepest bits, but I’ll take one anyway for extra safety. 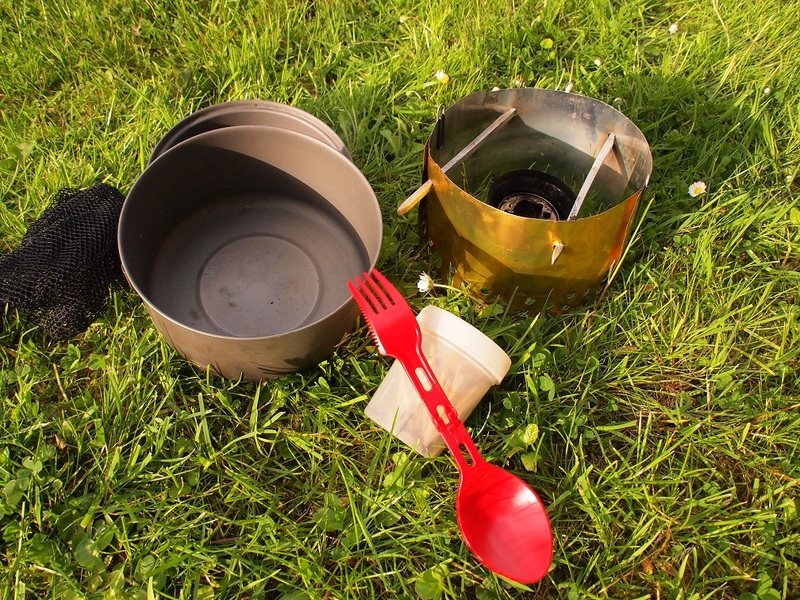 For cooking I will use my home-made alcohol stove with 0.1mm Aluminum windscreen again, combined with the Alpkit MytiPot. Having a soup and a hot meal (either pasta or freeze-dried), I estimate I’ll need about 35mL of alcohol every day, which I will buy in local drug stores or include in my food drops. Then there is the electronics-part, which is always a difficult exercise. I’ll take a GoPro Hero3 Silver Edition sports camera for movies during walking and packrafting and for timelapses, together with my Olympus PEN EP-L 3 camera with a 14-150mm lens, UV-filter and polarisation filter, a combi weighing about 600g. I’ll carry both on my breast in a LowePro camera bag, which I can attach to the shoulder straps of my backpack with 2 minibiners. I’ll take my mobile phone as a communication device, MP3-player and voice recorder for my diary. I cannot take batteries for the entire trip, but don’t want to loose too much time to charge everything seperatly either. So I’ll take all my chargers together with a compact triple socket splitter, which will allow me to charge all my batteries simultaneously when I have electricity at my resupply points – combined with a Euro-NZ adapter. I’ll take 3 batteries for every device to be sure never to run out of power. All the batteries and chargers together will weigh almost half a kilo – it’s the part of my gear list which feels too heavy, but I don’t see a different solution which I’m sure will work and make me feel comfortable. Finally, the SPOT 2 Satellite Messenger will assure I can make contact with the emergency services should something really bad happen. This is the first trip in which I count my maps in kilo’s rather than in numbers. It’s almost impossible (and it would cost a fortune) to buy maps for the entire trip. New Zealand has a fantastic online map service on which I have downloaded everything I will need, and printed everything (a total of about 80 1/50000 map sheets and 10 1/250000 overview maps) recto-verso on A3 paper, a cheap and light (‘only’ 1.4kg of maps in total) solution. I’ll include a batch of new maps in my food drops, while sending the used ones back to Christchurch. 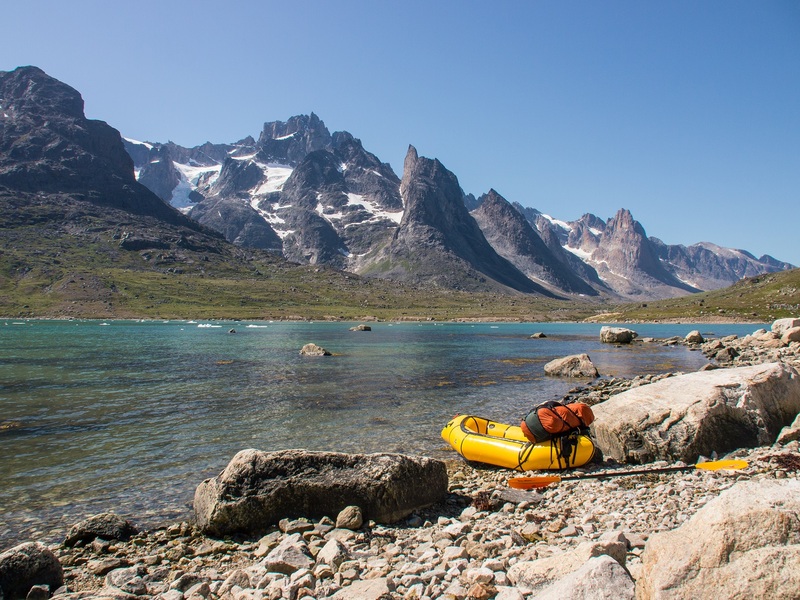 And then there is my packraft, which I will pick up after 5 weeks in Erewhon Station. I’m still paddling in my 2011 Yukon Yak, which is equiped with a Cruiser Spraydeck. Together with inflation bag, repair kit, my 4-piece Manta Ray paddle and an inflatable PFD, I’ll carry just under 4kg of packrafting gear across the passes of the Southern Alps. The Ortlieb PS21 is an excellent choice in terms of durability, better than the Sea to Summit 65L in my opinion. Sounds like an awesome itinerary! I live in Christchurch and do alot of hiking, and more recently packrafting. It sounds like you’re planning to do it mostly solo but if you want some company for one of the packrafting sections let me know. I’m on holiday for all of January, and will be adventuring all round the south island. First of all, good luck on your trip Willem. An alternative to all your electronic gear might be a solar charger? And isn’t it possible to charge most things with one USB cable? Maybe you could include charged batteries for your camera in your resupply boxed and send the empty ones back, I read in your greenland packlist you had bought spares… And for the far future, have a look at Aarn packs (maybe while you are in new Zealand, where they are made), I tried one last summer and want nothing else. They even come with dry bags installed for some types, the weight transfer to the front is unbelievable! How did those shoes work? Do you recommend them or with your newfound wisdom do you recommend something else? I am contemplating a packrafting trip down the Dobson river. How soon could you put in and be able to float downriver?. How high up stream is the river navigable? Hi Thomas, you can float all the way down into Lake Ohau. 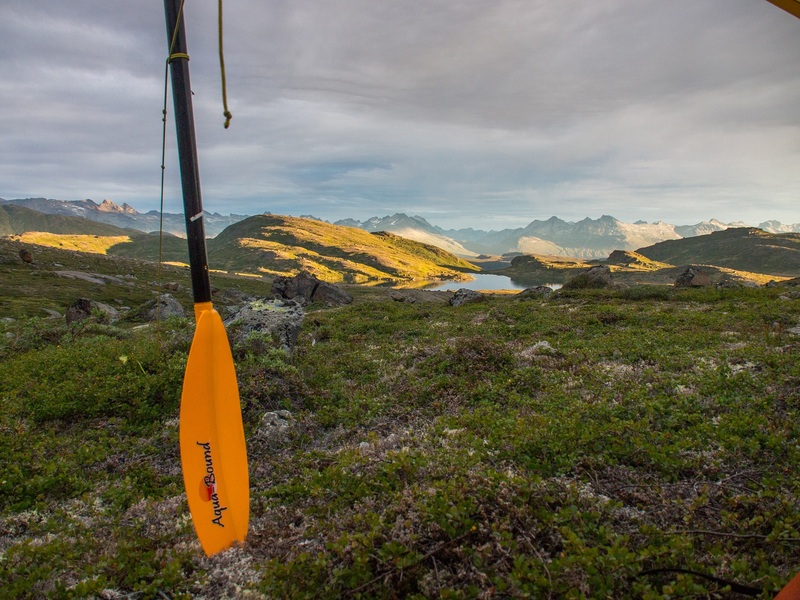 How far upstream you can put in will depend on water levels and your skills – Grough Hut or even Kennedy Hut should be doable, possibly even higher up after precipitation or when there is enough meltwater. The Dobson is a fantastic scenic river – the nicest one I paddled on the South Island! Thanks for that. I have done some whitewater kayaking, so have some skills. Were there some rapids on your trip down? What grade? do you know of rapids further up?